PARIS -- Renault's first-half operating profit jumped 41 percent to 1.54 billion euros ($1.7 billion), thanks to a refreshed model lineup and a rebounding European auto market. Renault is reaping the rewards of a product offensive that has seen all its major vehicles revamped including the Espace and Scenic minivans and the introduction of SUVs such as the Kadjar in the hot SUV/crossover market. The automaker's net income rose 8.8 percent to 1.5 billion euros ($1.74 billion), the company said in a statement today, on a 13.5 percent gain in revenue to 25.19 billion euros. Operating margin increased to 6.1 percent from 4.9 percent, its highest under current accounting standards. Profit at the core automotive division was up 65 percent, for a 4.7 percent margin. The results demonstrate the relevance of the company's strategy for regional diversification and launching new models, CEO Carlos Ghosn said in the statement. Renault is introducing 10 new and revamped models this year as it seeks to benefit from a recovery in the European car market, which grew by 9.1 percent in the first half. The picture outside Europe has been mixed, however. Renault predicted the global auto market will grow by about 1.7 percent this year, cutting a previous 2 percent growth estimate because of a slowdown in North America and import restrictions in Algeria. The company confirmed it expects 5 percent growth this year in Europe, where it made more than 60 percent of its deliveries in the first half. In recession-mired Russia, Renault plans to participate in a capital increase for AvtoVAZ Group, taking control of Russia's biggest automaker by the end of the year, Chief Financial Officer Clotilde Delbos told reporters in a telephone briefing. The first-half loss from AvtoVAZ narrowed to 75 million euros from 87 million in the same period in 2015. The UK market has peaked and will probably decline, though it’s too early to to say what impact the country’s decision to leave the European Union will have on Renault’s sales, Delbos said. 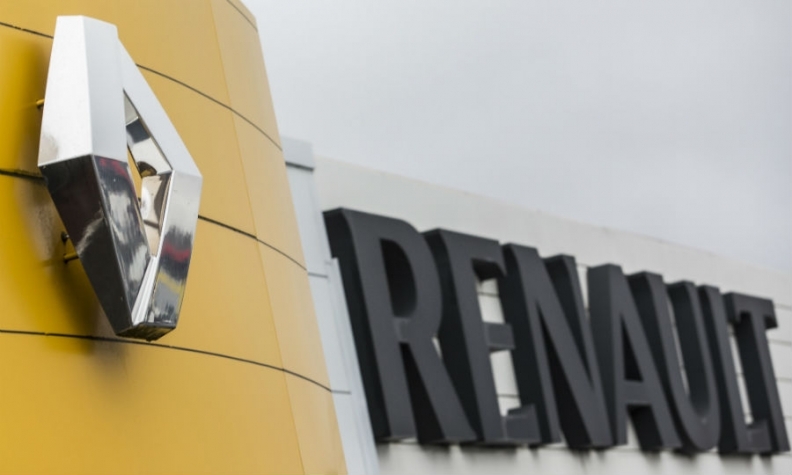 Renault's grip on costs weakened in the first half in the final straight of a three-year productivity drive, with improvements to the company's diesel engines raising research and development spending. Productivity savings all but evaporated to just 6 million euros in the first six months. "This low level is mainly explained by r&d and some costs related to our product cadence," Delbos told analysts following the results. With 350 million euros in cuts still to be found by year end, Delbos acknowledged it would be close. "You should not bet on a (productivity gain) that will be higher than 350 for the full year," she said. R&d costs also increased by 115 million euros partly as a result of "diesel consequences," Renault second-in-command Thierry Bollore said. Renault is struggling to meet tightening engine standards, while scrambling to patch excess nitrogen oxide emissions from some existing models. Renault's product offensive has improved pricing, which delivered an 800 million euro boost to first-half revenue, and helped it weather brutal downturns in Russia and Latin America.